Good news, friends! In case you haven’t heard, The Swiss Courier is on sale for $1.99 (or less!) now through February 28. You can get it through Amazon, Barnes & Noble, or Christianbook. 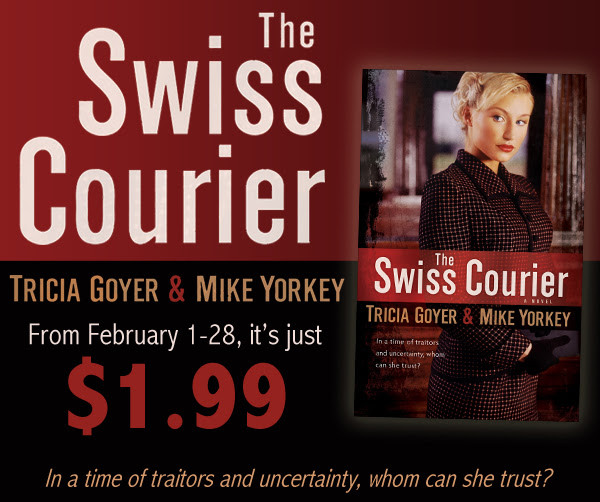 Get ‘The Swiss Courier’ by @TriciaGoyer and @MikeYorkey on #sale!